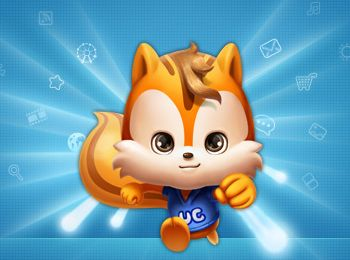 Today, latest UC Browser 8.4 handler mod has been published (unofficial). Now you can hack Airtel for free GPRS with new UC Browser hacked version handler mod. Now I have fixed some problems on older versions also. In older versions there was problems in downloading ZIP, Exe and similar files. I have fixed that to a great extend. Also fixed crashing problems while incoming call. This new version comes with cloud storage support. Now enjoy free GPRS and 3G internet on Airtel with amazing speed. To get 3G speed, you must have a handset with 3G support and must be in an area on 3G coverage. Maintain balanace below 30PS is safe. Use airtelgprs.com Access point (mobileoffice or airtelinternet settings) and follow the steps below to get free Internet. Speed: 100-150KBPS in 3G and 10-40KBPS on 2G. After downloading the file, Install it and Open it. You can see a network settings with label "Default Settings". Change that to "Airtel Free Internet"
Enjoy unlimited Internet on Airtel with high speed. Your Comments are welcome. This app works fine for me and in many states. Leave comments if you had any problem with it. When it works, ofcourse it is working on my phone. for comments suggestions message me on gab.celestial@gmail.com, and like this..